Pfc. Billy W. Patton, son of Mr. and Mrs. Grady Patton, graduated from Frederick High School. Entered marines in Oct., 1943, trained in San Diego, Cal. 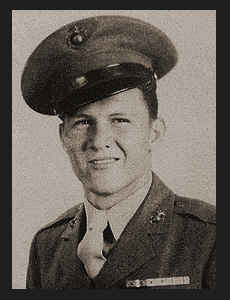 ; served in the Philippines, Saipan, the Marianas, the Carolines and Okinawa; was discharged in Oct. 1945. Awarded Asiatic Pacific Ribbon with six Battle Stars, Philippine Lib. Ribbon with two Battle Stars, Am. Theatre Ribbon.